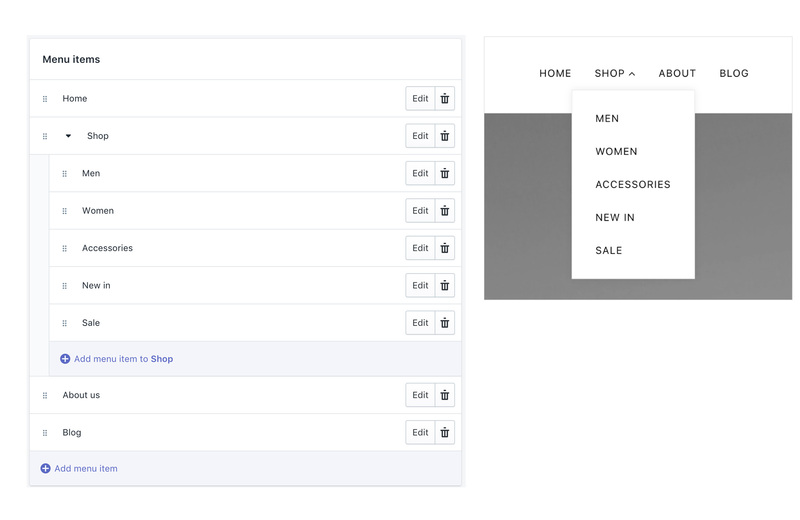 Store menus can be configured in your store admin under Online Store > Navigation. To create a single dropdown menu, click the title of the menu that would like to add a dropdown menu to. In most cases, this is called Main Menu unless it has been renamed to something else. Next, you will need to add 'child' items to include in the new drop-down. Click Add menu item, enter a name of the menu item and select a destination for the link. Click and drag the menu items to nest below the 'parent' item. To create third level menu items, repeat the process for creating a dropdown and simply nest them below a second level menu item. 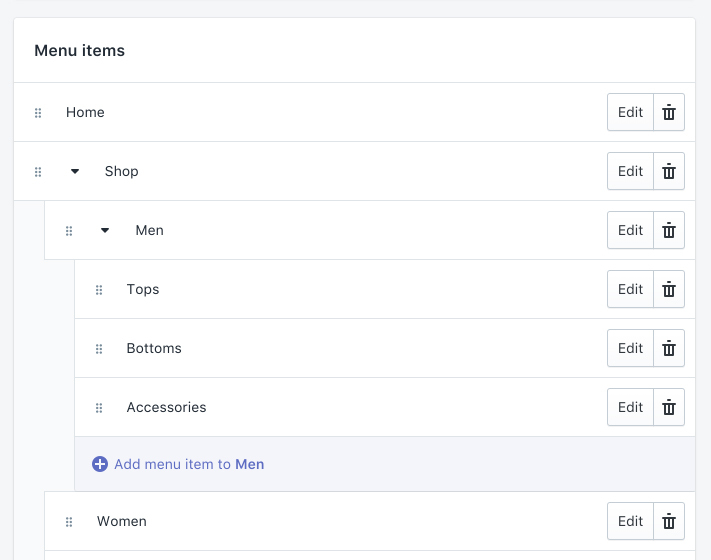 If a second level menu items doesn't have any nested menus, they will be styled in a separate column shown below with the New in and Sale menu items. All other store menus can be configured in your store admin under Online Store > Navigation.